A restrictive covenant is a provision in a deed that limits how the property may be used. Such covenants typically “run with the land,” meaning that they remain in force even as the property passes from owner to owner. In the 1890s, white Californians began using covenants to restrict the sale or rental of property to Chinese immigrants. The practice spread eastward and was applied to other ethnic and religious minorities, particularly African-Americans. The biggest single proponent of racially restrictive covenants was the Federal Housing Administration. 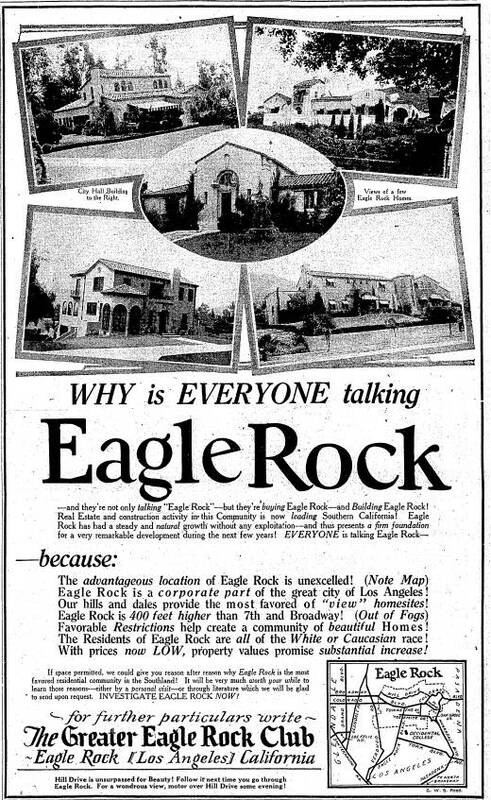 Created as part of the New Deal, the FHA shared the racist attitudes of the white real-estate industry, which viewed integration as bad for property values. FHA underwriters encouraged and in many cases required land developers to adopt restrictive covenants before insuring their loans. Black homebuyers fought back as best they could. Individual covenants could often be voided on technical grounds, but it was an expensive and time-consuming process, and for years the NAACP sought a broader legal strategy that would eliminate covenants altogether. The winning argument turned on a novel interpretation of the Fourteenth Amendment, which holds that “No state shall… deny to any person within its jurisdiction the equal protection of the laws.” Because covenants were agreements between private parties, the Fourteenth Amendment was generally thought not to apply to them. But in the 1948 Shelley v. Kraemer case, Thurgood Marshall and Loren Miller argued that while the creation of covenants might be a private matter, the use of government courts to enforce them constituted “state action” and was therefore unconstitutional. The Supreme Court agreed, ruling that racially restrictive covenants were legally unenforceable. The Shelley ruling still left property owners free to discriminate voluntarily. And while the FHA rewrote its Underwriting Manual to reflect the new legal reality, it, too, continued to discriminate. Prior to the 1930s, home mortgage loans in the U.S. typically required a minimum 50% down payment, with the balance due within three to five years. By providing mortgage insurance to lenders, the FHA made possible the modern long-term mortgage, which in turn allowed many more Americans to afford homes. But not everyone qualified for insured mortgages. Though a process known as redlining, the FHA refused to guarantee loans in neighborhoods deemed “high risk”—typically those that were black, mixed-race, or likely to become black or mixed-race. Shut out of the mortgage market, African-Americans were forced to find alternative means of home finance. The most common was what is known as a contract for deed, in which the seller of the property provides the financing. Though the payment structure resembles that of a mortgage, a key difference is that the seller retains full ownership of the property until the contract is completed—and in the event of a default, the seller simply evicts the buyer, keeping whatever money has already been paid. Unscrupulous real-estate speculators took advantage of this, offering contracts on deceptively easy terms and then evicting the buyers at the first opportunity, so that the same properties could be “sold” over and over again, each time earning a new down payment. In a 1958 article for the Chicago Bar Review, lawyer Mark J. Satter calculated that speculators’ abuse of contracts for deed was robbing Chicago’s black community of a million dollars a day. Redlining was outlawed by the Fair Housing Act of 1968. Contracts for deed remain legal, and according to a recent New York Times article, they have seen a resurgence since the 2008 housing market crash. 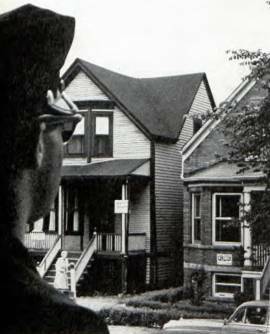 Chicago policeman guarding the first black-owned home on a formerly all-white block. Note FOR SALE signs across street. Those African-Americans who overcame the legal and financial hurdles and bought homes in white neighborhoods were met with threats, harassment, and violence. 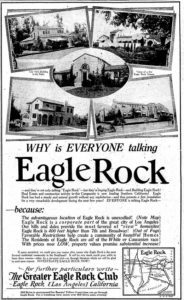 In his memoir, A Colored Man’s Journey Through 20th Century Segregated America, Earl Hutchinson, Sr., describes the experience he and his wife had buying a small apartment building in East Woodlawn in 1946. Because the building was under covenant, the Hutchinsons were forced to employ a white front man, known as a “nominee,” to buy the house for them, and they didn’t see the inside of their new home until the day they moved in. Within twenty-four hours of their arrival, every other house on the block had a sign posted letting the Hutchinsons know they were unwelcome; neighbors cursed them on the street and held weekly meetings at which they plotted how to get the Hutchinsons out. After the Hutchinsons’ property was vandalized, the police posted a protective detail that would remain for over a year. “[The police] constantly asked me why I moved into this area,” Hutchinson writes. “I told them I moved for the same reason that they would move. I wanted a bigger house in a better neighborhood.” The harassment only ended after three more black families moved into the area, triggering a white exodus.